Izvestiya reports today that General-Lieutenant Andrey Serdyukov is set to replace General-Colonel Vladimir Shamanov as commander of the Russian Airborne Troops (VDV). Shamanov, who will turn 60 in February, has commanded the VDV since early 2009. But he could continue to serve beyond 60 at the president’s discretion under Russian law. The 53-year-old General-Lieutenant Serdyukov has been serving as first deputy commander and chief of staff in the Southern MD. He reportedly played a key part in the seizure of Crimea from Ukraine in 2014. A presidential decree on the personnel change has not been issued, but Kremlin press-secretary Dmitriy Peskov did not deny plans to elevate Serdyukov when asked by Izvestiya. 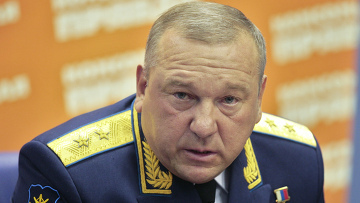 Russian media sources have reported that Shamanov’s retirement post will be a seat in the new State Duma and chairmanship of its Defense Committee. 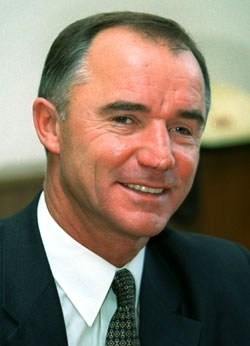 Readers will recall that Shamanov is a member of the president’s United Russia party and served as governor of Ulyanovsk Oblast. Mil.ru reported today on President Putin’s 11 October ukaz transferring administrative and operational control of air assault brigades in Ussuriysk, Ulan-Ude, and Kamyshin from Eastern and Southern MD Commanders to General-Colonel Vladimir Shamanov and the VDV. The MOD website says the decree is No. 776; it doesn’t appear on Kremlin.ru yet, but may later. Mil.ru reported VDV commissions are already surveying the condition of weapons, equipment, and facilities in the three brigades, and converting their training program to match that of the VDV. Shamanov announced that this change, and others, were pending back in early August. VDV Commander, General-Lieutenant Vladimir Shamanov reported for duty today a little more than three months after his BMW was slammed by a truck on the highway between Tula and Moscow. Shamanov was discharged from Burdenko Main Military Clinical Hospital in late December, and has been on rehabilitation leave in Sochi since then. Also injured in the accident, then-acting commander of the Tula-based 106th Airborne Division, Colonel Aleksey Naumets remains in the hospital in satisfactory condition after more surgery. The Tajik national who rammed into Shamanov’s service vehicle admitted his guilt in the accident. He remains in custody while the investigation and court proceedings continue.